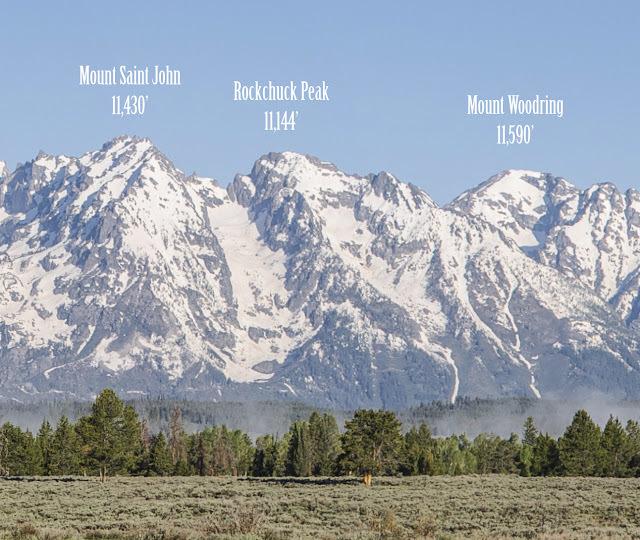 I've been taking some of my super wide panoramic photographs of different mountain ranges and adding text above the mountains that displays the peak names and elevations above sea level. People look at these mountains every day, but don't always know what peaks they are looking at. I thought it would be neat to have the labeling above the mountains in the images to clarify. The first one, completed last year, has been one of the most popular images in my gallery. 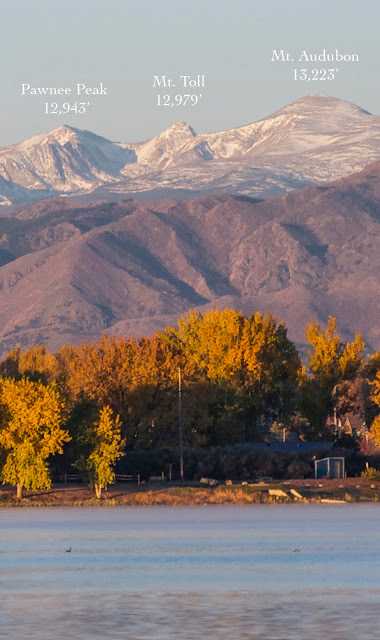 The panorama is taken from Union Reservoir in Longmont and features almost the entirety of the northern Colorado Front Range from the Arapaho Peaks at the south end (left) to the Twin Sisters at the North end (right). The photograph was taken at sunrise in the fall when all the trees have turned. 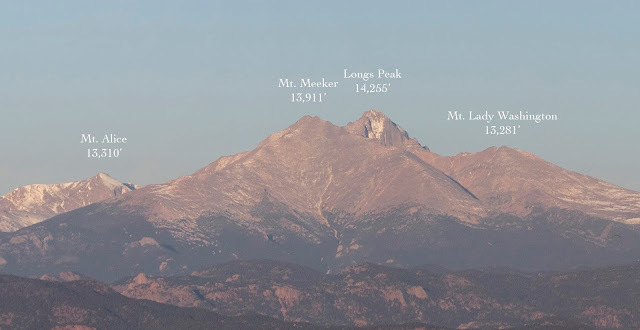 Longs is the tallest named peak at 14,259 ft. above sea level and the only 14er north of I-70. 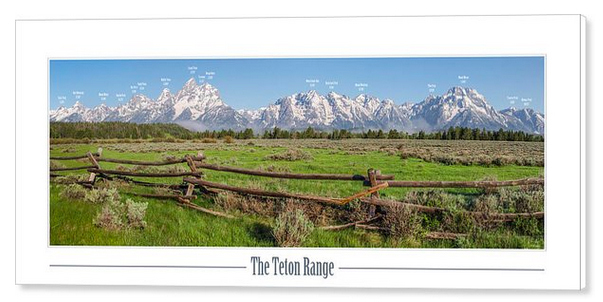 The next one is from the Teton Range in Wyoming. These peaks are super dramatic and shoot out from the ground with pointed spires. 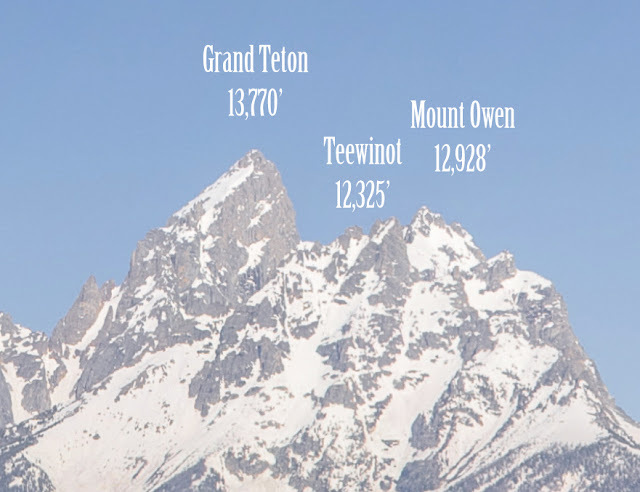 No 14ers in this one, but the Grand Teton comes close at 13,770 ft. 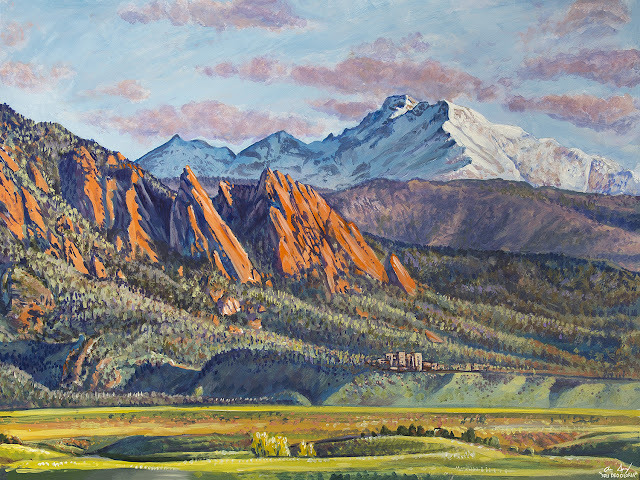 The third print displays the Sneffels Range, one of the sub ranges within Colorado's huge San Juan Range. These peaks are some of the most jagged in the state and can be seen from Montrose to the north. The photograph was taken just outside the little town of Ridgway at sunset when the clouds turned soft pink and purple. The difficult part of this process is trying to identify which mountain is which as viewed from the angle the photo was taken from. One of the best tools I've found is a website called peakfinder.org. 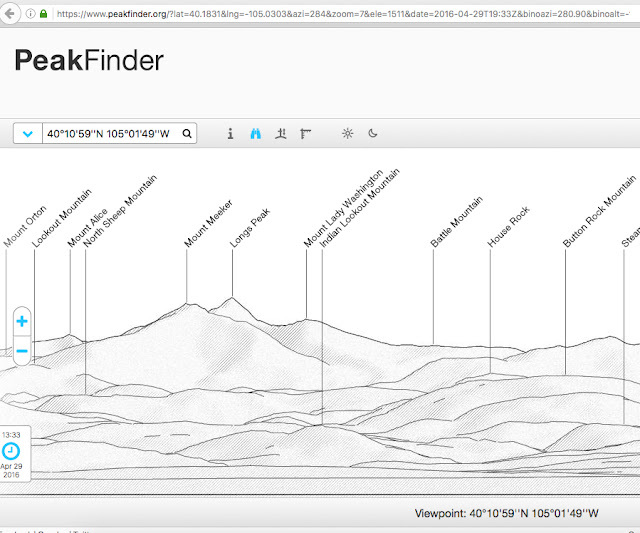 Here you can actually put yourself anywhere on a map and it will give you silhouette outlines and labels of the peaks as viewed from where you are positioned. 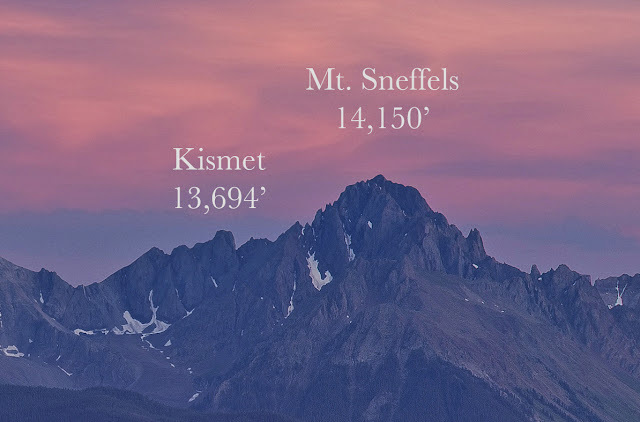 Interestingly, there are a few peaks in the Sneffels Range that are widely mislabeled in books, posters, and photographs. Even the Ridgway State Park has a plaque up in the visitor center where unnamed 13er, otherwise called "S9", is incorrectly labeled as "Hayden Peak". Though this is one of the most photographed mountains in Colorado, most people don't even know it's name and often refer to it as Mt. Sneffels. I had to consult some of the experts on 14ers.com to clarify certain peak identifications.